If you’re a bit of a skincare geek like me you may have heard of the brand Caudalie. However did you know that you can buy their products and see them showcased on QVC UK? Personally, I have watched and loved QVC for many years! I think it all started when I was having some hospital treatments and found it extremely comforting to have on when I’d get home and was recovering. What I like most about the Beauty shows is that you get so many tips and tricks on how to apply the products and new ways to use them that you perhaps wouldn’t have thought of before i.e. in combination with something else. As well as getting an insight into the brands roots & ethos plus occasionally some sneaky previews as to what kind of new products they may have in the works next! First I thought I should give you a little backstory on Caudalie in case you are new to the brand! 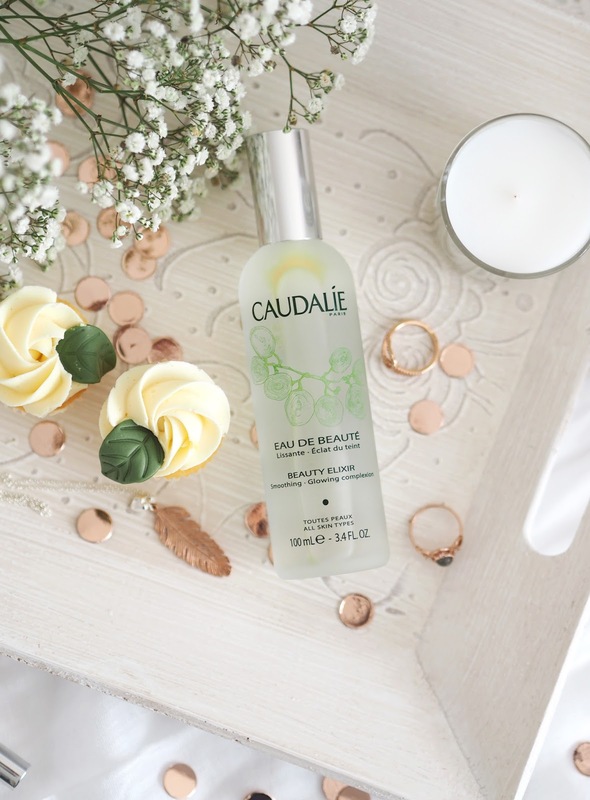 Caudalie was born in the vineyards of Bordeaux, France, and the inspiration that both the vine and the grape could possess exceptional benefits for the skin. Hence why you will see their signature grape vine pattern on their products! Caudalie recycle the grape seed oil, which is usually thrown away during harvesting and have now produced an entire beauty range of pioneering natural formulas that create effective and luxurious skincare. I’ve got some of the product sets that are available to buy on QVC online already and they've given us some incredible value offers! They'll be adding more products and collections regularly as they become available. I would advise having a browse online here - as popular items are known to sell out very quickly during live shows! I always buy online on QVC as it’s so quick and just like ordering from any other website. So lets dive in and look through the products we can expect to find online! Caudalie 2 Piece Tinted Lip Balm Collection | (Item No. 234422) QVC Price £13.60 Plus P&P - Worth £20. First up is this Tinted Lip Balm Duo which features two French Kiss Tinted Lip Balms in Seduction and Addiction. I already own and love these very much so can recommend them! 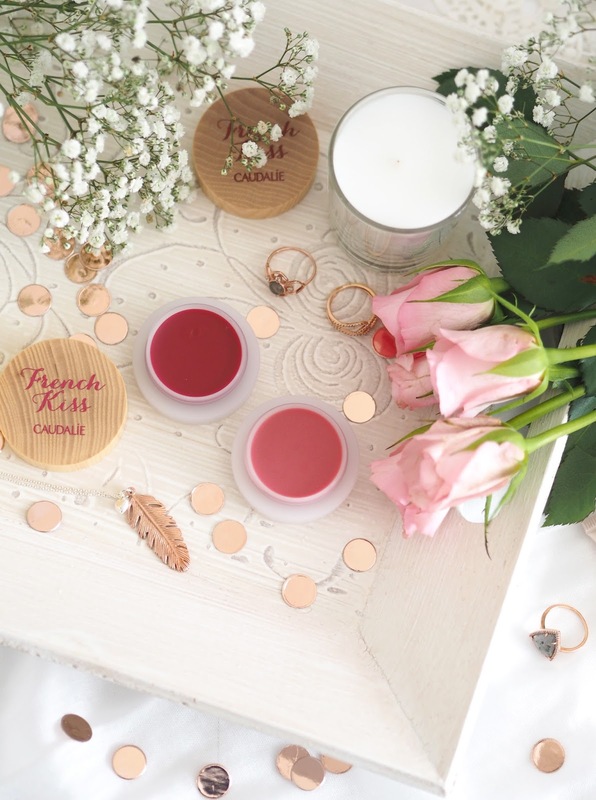 They look luxurious on your dressing table and are designed to help keep you lips feeling hydrated with a light shimmer. The formula melts onto your lips. and you can apply them on top of your lipstick to add a touch of gloss, or wear alone for a low maintenance, kissable look. Seduction ~ is a soft pink tint with a vanilla scent. Addiction ~ is a beautiful raspberry red tint with a berry scent. Caudalie Beauty Elixir 100ml | (Item No. 231531) QVC Price £28 Plus P&P - Worth £32. The Beauty Elixir as become an extremely popular, cult product amongst beauty experts, celebrities and bloggers over the last year. So if you want to find out what it’s all about then this is a good opportunity. It’s a spritz on treatment product with a powerful plant based formula that you can use under or over make up. Apparently it’s inspired by the “elixir of youth” used by Queen Isabelle of Hungary! Ingredients include: grape, orange blossom, rose, organic mint balm and rosemary. The product is designed to help reduce the appearance of fine lines and pores, set or refresh your make-up, and leave your complexion looking brighter with a natural looking glow. It’s hard to pick favourites amongst all these gorgeous products but I definitely would recommend picking this one up if you can! Caudalie 2 Piece Skin Detox Collection | (Item No. 235266) QVC Price £33.50 Plus P&P - Worth £42. Next we have a gorgeous pampering duo containing the Deep Cleansing Exfoliator and Instant Detox Mask. These products work perfectly together and are formulated to gently cleanse your skin leaving it feeling fresh and smoothed. These two are particularly good to use after a long day out at work, if you’ve been wearing make up all day and your skin is feeling congested! Exfoliator | Your would use this product after cleansing & removing your make up. It’s a mechanical exfoliant that you apply in circular motions across your face and neck to leave clear, radiant skin. Infused with grapefruit, mint and sweet orange, provides a sensation of freshness and smells incredible! 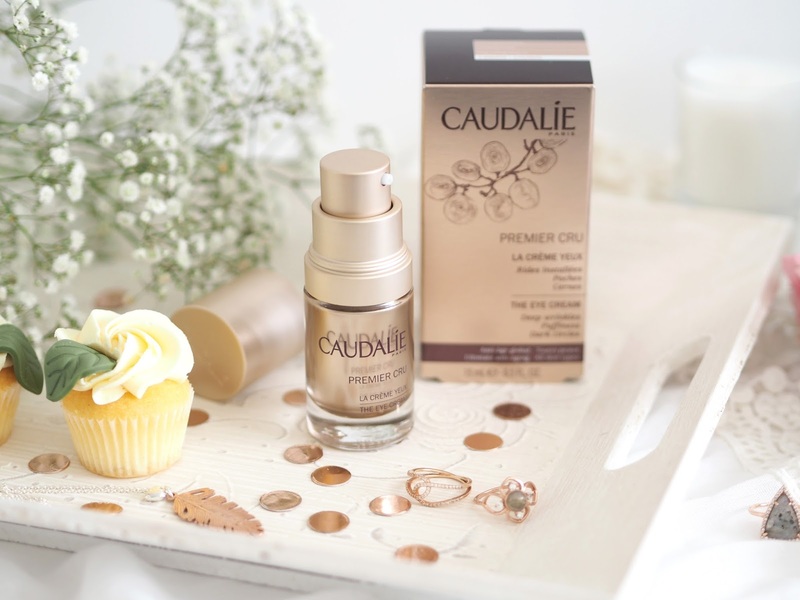 Caudalie Premier Cru: The Eye Cream | (Item No. 235460) QVC Price £45.50 Plus P&P - Worth £49. I’m so pleased they’re including this product on QVC as it’s a brand new formula and really exciting! 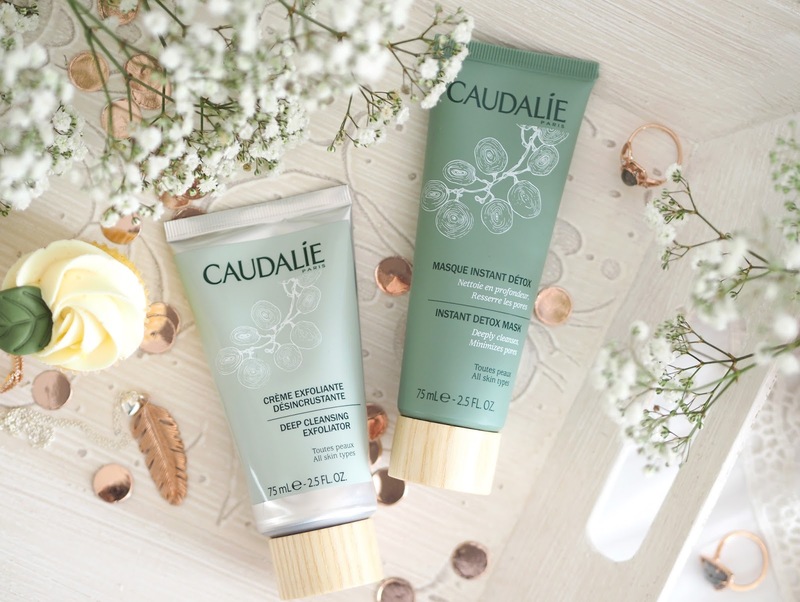 “Premier Cru features an exclusive blend of all Caudalies patented ingredients - Resveratrol, Polyphenols and Viniferine and among the most high performance active ingredients to reduce the signs of aging in a single step” — Caudalie. It includes Caffeine, Avocado Butter, Grape Seed Oil & Pearlisers which all work to brighten and hydrate the eye area, reduce dark circles and puffiness plus it smooths and firms the skin around your eyes for a youthful appearance. Can we also just talk about how it’s in the most dreamy rose gold packaging?! 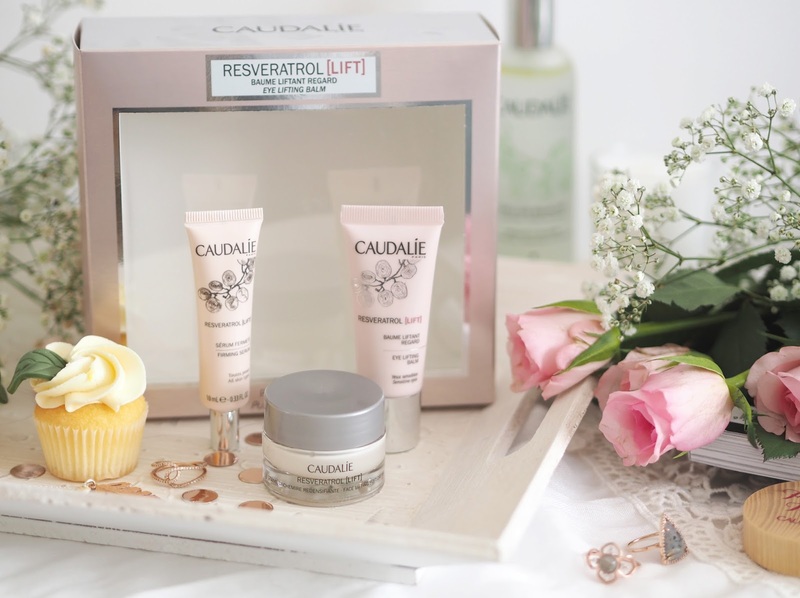 Caudalie Resveratrol Eye Lift Collection | (Item No. 235461) QVC Price £31 Plus P&P - Worth £36. This is a wonderful trio in very pretty gift set which would work perfectly as a gift for a loved one or yourself! This regime is designed to lift and visibly replump your skin. Eye Lifting Balm | This balm lifts smoothes and reduces puffiness around the eye area (and lips if that’s an area of concern). Firming Serum | A serum that helps to recreate the structure of younger skin making it appear firmer and more toned. Face Lifting Soft Cream | A lightweight soft cream which deeply nourishes, smoothes wrinkles and redensifies in a single step. Leaving skin looking lifted and more youthful. Find the whole collection of Caudalie Products that QVC UK stock here. Let me know if you’ve tried Caudalie before and what your favourite products are? 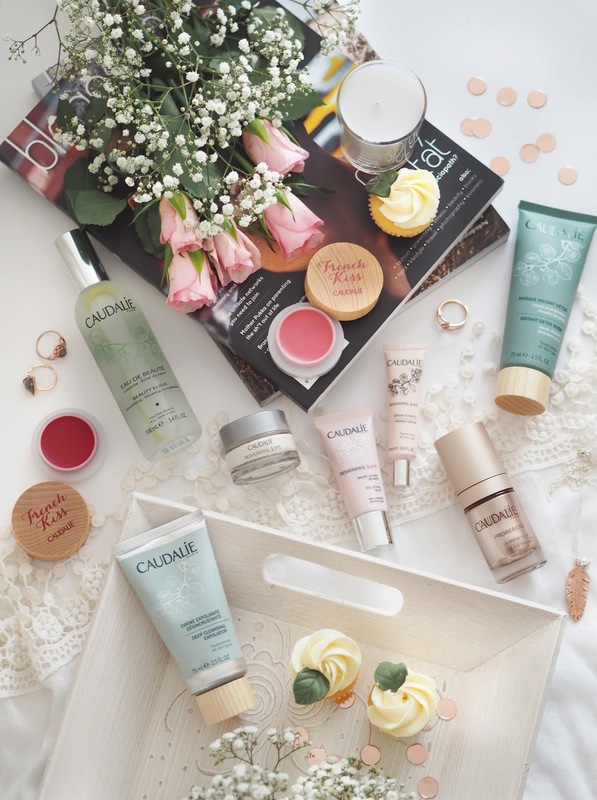 My top picks are the Beauty Elixir & Premier Cru Eye Cream! Absolutely love your photography in this post! 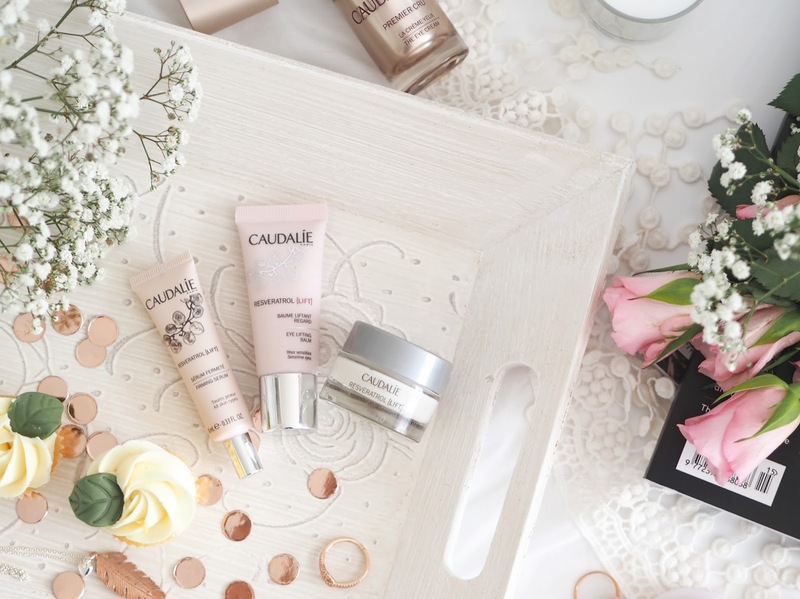 I’ve a few products from Caudalie and really like them, I really want to try more from the brand!